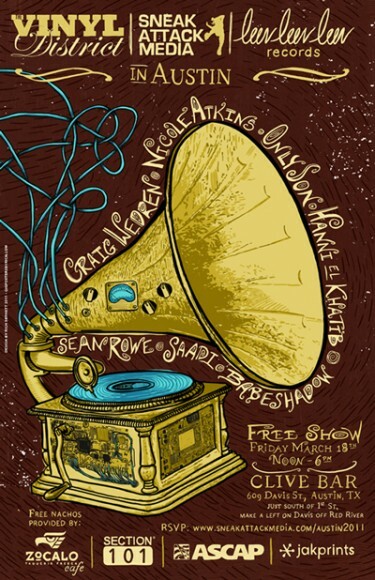 Sneak Attack Media and Vinyl District Records have announced a joint SXSW party for SXSW 2011. The party takes place on Friday March 18th and is free but requires an RSVP which can be found here. This party features the awesome like Nicole Atkins and Craig Wedren. Clive Bar – 609 Davis St – Noon – 6 p.m.